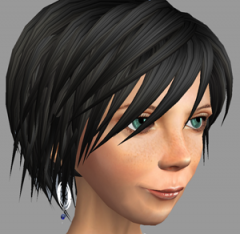 This article describes the three different types of Second Life accounts. Manage your Second Life account on the web at https://secondlife.com/my/account/. There are three types of Second Life accounts: basic, premium, and Concierge. Own estates or Private Regions. Rent land anywhere, depending on the landowner's renting preferences. Have a covenant agreement on Private Regions or estates owned by other Residents. Submit support cases for a limited set of problems. Own land on the mainland. One person can have multiple free basic accounts, subject to the alt account policy. A premium account requires a monthly fee. Own land on the mainland, including a Linden Home. Submit support cases for an expanded set of problems. Initiate live chat sessions with customer support. Get a weekly stipend of Linden dollars. For more information, see Linden dollars (Getting your premium account stipend). For more information, see Premium membership. When you register a premium account, you receive a one-time signup bonus of L$1000 in approximately 45 days. Any account that owns an estate, pays for an estate, or pays tier for more than half a region's worth of mainland parcels qualifies as a Concierge account. With a Concierge account, you also have access to a special live chat area and phone number through the support portal. It is possible to have a basic account and still qualify for Concierge service. Basic account holders can own estates and Private Regions, the setup and monthly costs for which are billed separately from land on the mainland (which can be owned only by premium and Congierge account holders). A basic account that satisfies the requirements for Concierge service described above qualifies as a Concierge-level Resident. If you own a Second Life account that is primarily operated by a scripted agent, or "bot", you must identify it as a bot by setting its status on your Second Life Account page. Scripted Agent Status section of your account page on the Second Life website. As long as you're in good standing with Linden Lab (not delinquent with billing or otherwise in violation of the Community Standards and Terms of Service) your Second Life account can remain inactive indefinitely. This means that your avatar and inventory will continue to be stored on the Second Life servers. If you're thinking about canceling your premium account, consider leaving it active with a basic membership, which costs nothing to maintain. 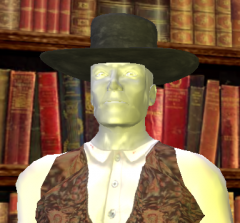 If at some point in the future you should choose to revisit Second Life, your avatar and your inventory will be here waiting for you. Log in to the Second Life website with your Second Life username and password. Go to the Cancel Account page. Click the Cancel Account button at the bottom of the page. Your account will remain open until your billing review date, as account maintenance fees are paid in advance. If you have cancelled your account, you may be able to restore it, depending on how long ago it was cancelled. There is a US$9.95 reactivation fee for restoring an account. Warning: Even if your account is restored, the associated inventory, land, and Linden dollar balance may be unrecoverable. Under What type of problem are you having? choose Account Issue. Choose Reactivate an old account. Thanks, I rewrote that section.